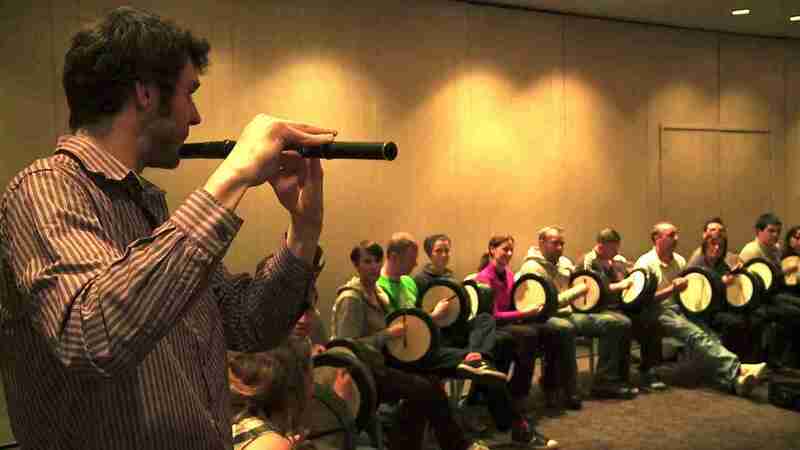 PEI celebrated 50 years in business during 2013 and to add to the celebrations Tempo Music School facilitated a bodhrán workshop for 55 of its fantastic employees. The workshop was great fun which was made easy by such a brilliant group of people who showed great interest and participation. In the evening we then hosted a ceilí where all employees where up on the dance floor dancing to jigs, reels and polkas under the direction of our dance teacher. It was a wonderful night and a credit to all the gang at PEI who immersed themselves into the tradition for the day, fair play to ye.